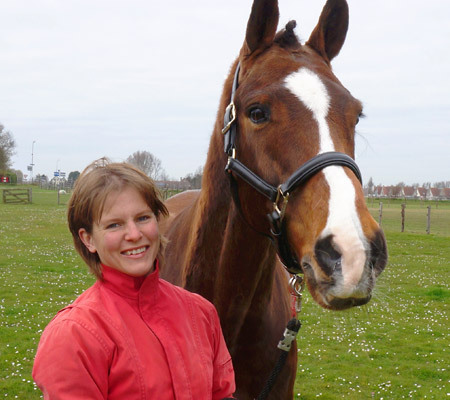 Alexandra Wesker is an animal scientist specialised in horse health. She gained both her BSc and MSc in Animal Science from Wageningen University in the Netherlands - one of the world's foremost life-sciences universities. Her studies encompassed a wide range of areas from nutrition, physiology and genetics, to immunology and anatomy. This has enabled her to think and work more comprehensively in the work she does with horses. Alex's approach to horse care and her Natural Feeding method arose not just from her Animal Science background but also from her love of horses and the belief that their care and nutrition should be primarily centred around their own needs. She is inspired by helping horses stay healthy and by showing owners how to make informed choices in caring for and feeding their horse. Alex is an independent consultant for horse nutrition and based in England where she writes on horse wellbeing and nutrition. She has enjoyed riding from a young age and continues to ride with her horse, Sensation.